Kevin Feige holds the keys to the Marvel Studios kingdom, and when he speaks, Marvel movie fans listen. If you believe what he has said in the past, the president of Marvel Studios has a tentative plan for feature films through 2028 (even though the studio has only claimed vacant release dates through 2019). Needless to say, when you are offered a few minutes to grill Feige on pressing Marvel issues, you jump at the chance, which is why I was sitting down with him and a small group of journalists attending San Diego Comic-Con. The focus of the conversation lingered on Guardians of the Galaxy, of course, because Feige knows that a lot of what Marvel would like to do in Phase 3 and beyond depends on audiences accepting some of the oddities in James Gunn’s movie. But with so much happening on Marvel’s cinematic front, we lept from topic to topic and tried to cover as much ground as possible. Here are a few of the major things we discovered. 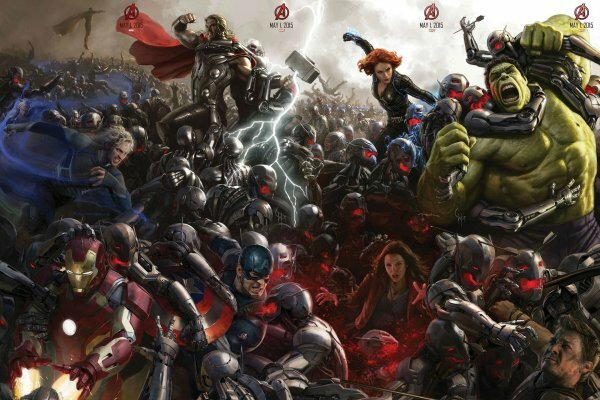 Joss Whedon knew, during the filming of The Avengers, that he wanted to do Ultron next. The way Kevin Feige positions it, this happens a lot on movies, where those in the know start to discuss what will happen next. "Ultron came up very early on [in the discussion]," Feige told us. "And Joss was like, ‘What do you mean, "What do you do?" It’s Ultron. You DO Ultron!’"
So the studio has been shaping plans to get to Age of Ultron for years. There are, according to Feige, certain visuals and story beats that they have seen in the comics that they want to bring to Whedon’s second Avengers movie. Also, this movie has extreme relevance because it will conclude the studio’s Phase 2 strategy. "Every choice that has been made in Iron Man 3, Thor: The Dark World and Captain America: The Winter Soldier was made, one, to make those movies as entertaining as possible. But also knowing that it means things could be very different at the start of Avengers 2 as they were at the end of Avengers 1." Thanos will not be in Avengers: Age of Ultron. At least, that’s the plan at the moment. He makes an appearance in Guardians of the Galaxy. But Feige is clear when he says to us, "He’s not a part of Avengers 2." Then, in typical Feige style, he backpedals ever so slightly. 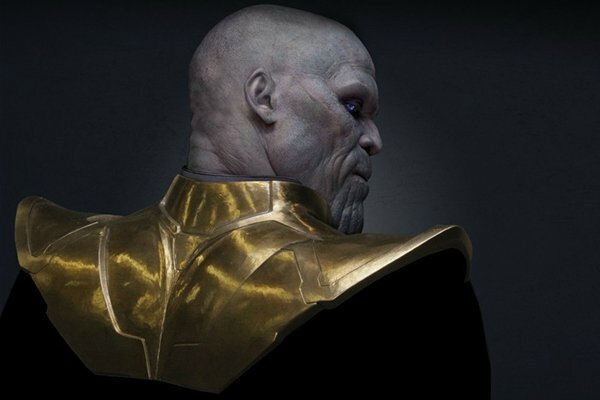 "I think Thanos does what he wants, and shows up where he wants to. … By the way, we’re still making Avengers 2, so nothing is finished one way or another." Marvel is getting more comfortable with CGI, but that won’t dictate which characters they do moving forward. Feige says that Marvel’s storytellers are all about utilizing the advancements in technology that have allowed characters like Rocket Raccoon and Groot to be fully realized on screen. That being said, with characters like Thanos or Hulk, it’s not just about a vocal performance. It’s facial. It’s real acting. "Its casting for both," Feige said. Andy Serkis is the king of that. It’s not, ‘Oh good, we don’t have to hire an actor now. We’ll just have the voice come in.’ You want a great performance." To that end, we will see a lot of that with James Spader’s performance as Ultron. "He was on set for every single one of his scenes, in the mo-cap rigs that you have seen," Feige explains. "Yes, we liked Ultron, and yes we talked about him a lot. The fear was, there are a lot of robots. [Laughs] There are a lot of robots in the world. How do we do it differently. Well, you have Joss Whedon write dialogue for him. And you have James Spader bring him to life." Marvel has a lot of on-screen characters now. 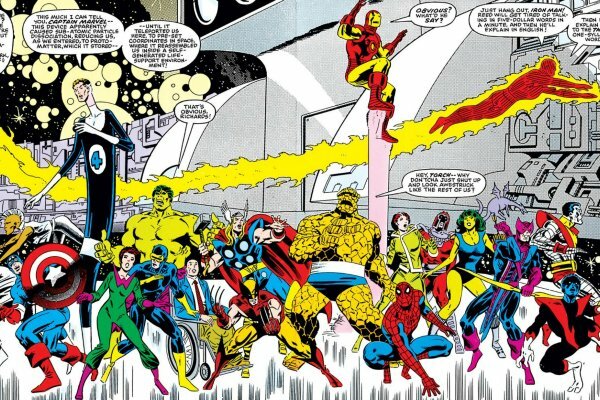 But don’t expect a Secret Wars adaptation. Or even the It’s a Mad, Mad, Mad, Mad World take on the Marvel universe, though Feige jokes that they have had that conversation at the studio level. "I don’t think it’s about setting a Guinness Book of World Records for having the most superheroes in one movie. That’s daunting, and that is ripe with opportunities for disappointment. … But yes, with each character that is introduced in the MCU, that gives that character a chance to pop up in other properties in unexpected ways." Like, on the Netflix shows? "We haven’t talked about that," Feige admits, "just because we’re still in the early days. Daredevil is in production right now. But it is the same universe, so there’s always potential." Especially if you have actors under contract. One of the things Feige talked about was the fact that actor contracts at Marvel have been scaled down. No longer are new actors like Paul Rudd (Ant-Man) or the still-uncast Doctor Strange going to be locked into seven and eight-picture deals. "Usually, a traditional three, with some options for other appearances, is more the norm," Feige said. Kevin Feige broke down the tones of those two standalone movies, which are expected to expand the reach of Marvel Studios in Phase 3. 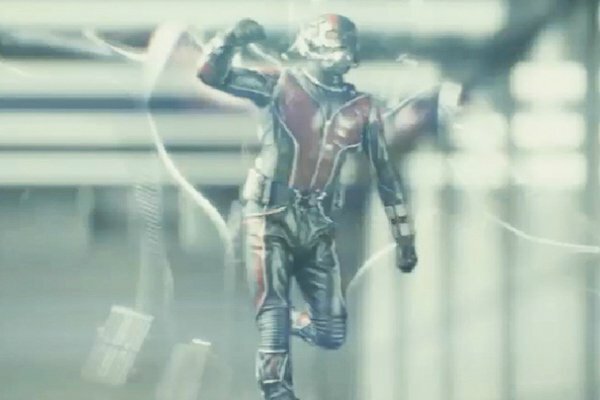 He calls Ant-Man both a "heist" picture, as well as a "mentor-mentee" story, with the passing of the heroic torch from one superhero (played by Michael Douglas) to another (played by Paul Rudd). As for Doctor Strange, Feige clarifies, "It is a classic Marvel origin story – and it is our opportunity to take that left turn into the supernatural. Now, what is the definition of ‘supernatural’? It varies. We like to think of it as playing with alternate dimensions. Strange, in a Ditko acid-trip way, travels through dimensions, and we think that’s very cool." He admits to just watching a lot of Neil DeGrasse Tyson’s Cosmos series, which he says "may as well be Doctor Strange." And he says that the way that show played with science and physics will play a LOT into how they explain the powers of their on-screen Doctor Strange… whomever will play him.